I think this is a SOLID rental!!! Rents are at $1350-$1,400 a month. however, for a flip, I think you can say $135,000 -$140,000 is going to be top of the market. The acquisition agent says that he determined the value via price per square foot in the area. he is saying that we are worth $73/SqFt after rehab. there are houses that have sold for as high as $76/SqFt with not very much rehab done to them and they did not have a pool. 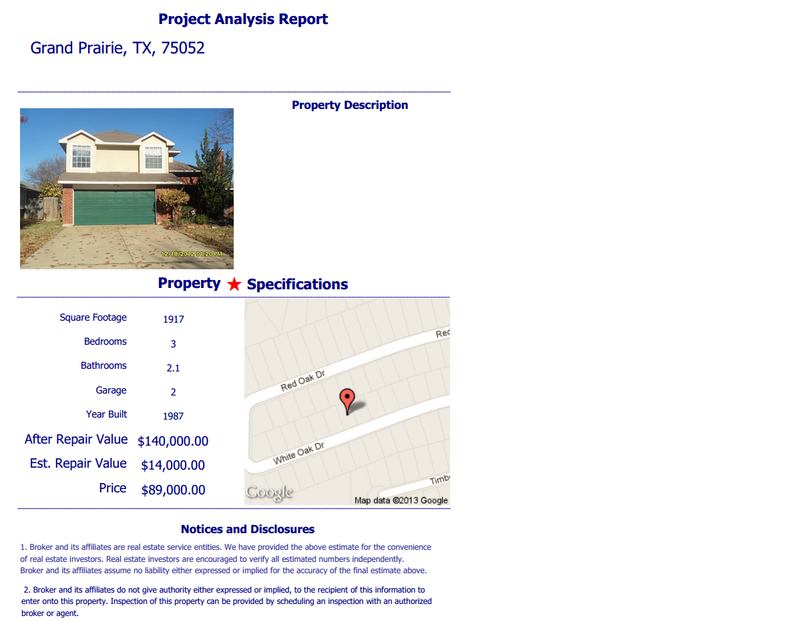 With a $130,000 ARV and as a rental, after the property has been refinanced, you will bring in about 26% ROI!! !